When you are looking for creating an excellent ambiance for home entertainment, the Pioneer Elite SC-89 is the king in its domain and class. It comes with Dolby Atmos (upgradable) and the immense power of the Class D3 amplification. You can expect incomparable sound effects, sophisticated room correction system along with an effortless connectivity and other advanced multi zone features. With such excellent home entertainment system, get ready to experience the ultimate surround sound experience with the Elite SC-89. These Pioneer AV receivers are designed to give you the ultimate experience in audio performance. 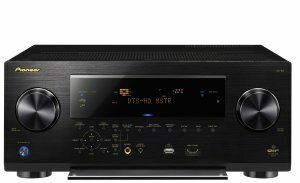 The most important feature for this AV receiver is the Dolby Atmos enabled speakers which adds creates a true 3D musical experience and also adds a lot of height to the sonic landscape which can transform you into the heightened experience. The Dolby Atmos can bring life to the most conventional soundtracks and at the same time adds motion to the surround sound. In other worlds, the Dolby Atmos enabled AV receivers can bring with it the state of the art home theatre technology right into the drawing room of your home. To enjoy the Dolby Atmos however, you must also have the Blu Ray Disc content encoded for the Dolby Atmos along with the speakers; add on modules and even some types and kinds of ceiling dimensions. The receiver comes loaded with the newest version of the HDMI standard which is known as the HDMI 2.0. This special feature offers increased frame rate capability, bandwidth and also resolution which helps in supporting the 4K resolution at 60 frames per second. 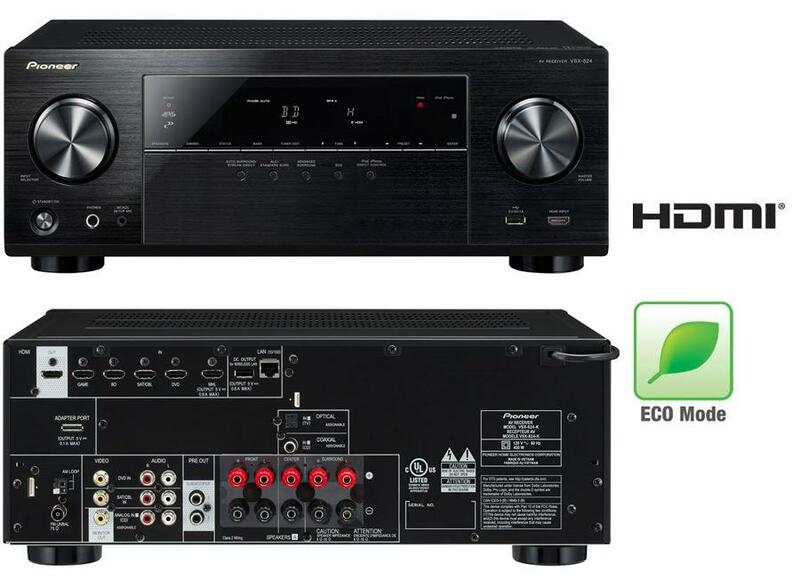 The connectivity options available with the AV receivers are 2 outputs and 7 HDMI inputs. The Pioneer receiver is rated at 140 Watts x 9 channels, 8 ohms, 1 kHz, 0.08% THD 2Ch and is able to deliver a total of 850 Watts simultaneous drive in the multi channel format. 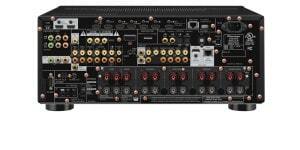 Although with the addition of the channels, the output of the lesser amplifiers get diminished, the presence of the Class D3 amplification in the Pioneer Elite SC-89 can enable the drive of multiple channels without any noticeable drop in the output of per channel, thus recreating the complete and the dynamic range of multi channel audio with higher range of resolution. These amplifications come with a direct signal path and there are no EMI filters which offers exceptional sound quality with no feedback loops current limiting. The design of these amplifications is nothing like the traditional and the conventional designs and remains true to the engineering excellence. The amplifications have the necessary durability for handling the low impedance multiple speaker loads without losing the power in the process. Efficiency in the Pioneer receiver is such that it consumes just a fraction of power in comparison to the other conventional amplifiers. Since the power consumption is less, the amplifiers, offer reliability and enhanced life span for the components of the item. The certification of the Pioneer Elite SC-89 has been done at the legendary AIR Studios in London. It is imperative to say that all the works undertaken by them are respected worldwide for their peerless digital CD recordings and also award winning motion picture soundtracks. AIR studios respect the craft by any artist just like Pioneer and thus believe in reproducing the original creation of the artist within the realms of the studio as far as the finest quality of the home theatre system is concerned. The Multi channel Acoustic Calibration has been upgraded to MCACC Pro. This is particularly designed by Pioneer for the Dolby Atmos enabled Pioneer Elite SC-89, and is known to calibrate the sound output with the help of a microphone and a monitor. It monitors the environment of the sound and with the help of an equalizer, each speaker is precision tuned and optimized according to the room. 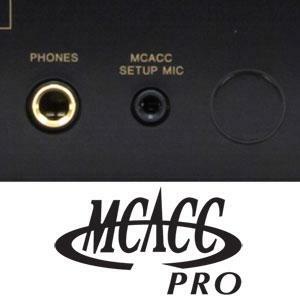 The MCACC Pro comes with the left and right channel low frequency response curves and also dual independent subwoofer outputs and individual EQ. All the above mentioned features enable you to achieve the best of subwoofer performance based on the placement of the room in which the home theatre is based, thereby creating a seamless integration and a powerful bass response with the main speakers of the home entertainment system, and all that with just a push of button. The Pioneer receiver supports high resolution digital file format like AIFF, WAV, FLAC and Apple Lossless. For instance, Apple Lossless decodes the compressed data without losing the audio quality and other formats can be streamed from any compatible PC or Laptop etc. The home theatre system comes with a 192 kHz/32 bit asynchronous USB DAC for superior quality of music playback from a USB connection. The gaps between the consecutive tracks are eliminated with the Gapless Playback system. HDBaseT TM is the new standard in the multi zone HD connectivity and it makes the streaming and also watching of the high definition content easier with uncompressed full 4k UltraHD digital audio and video even without the HDMI cable, and with just a standard LAN cable without compromising on the quality of the picture and the sound. 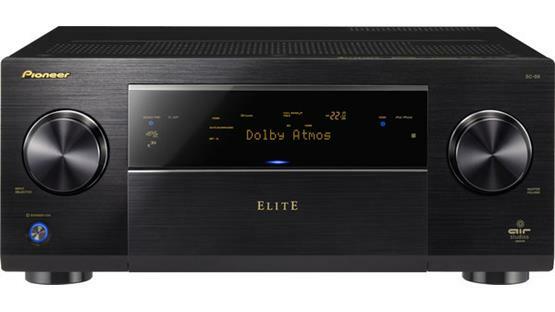 With Pioneer Elite SC-89, you can add complete flexibility in terms of content available in four different zones that is capable for powering of a 5.1 Home theatre system in the main, the stereo audio in 2nd and 3rd zones and the HD video content in Zone 4 with the help of the HDBaseT or HDMI. The best thing about all these zones is that they can be enjoyed all at the same time with different content.